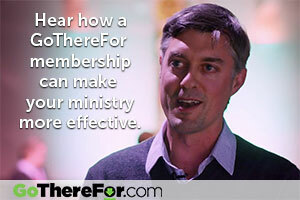 GoThereFor.com is an online library where gospel-minded Christians can find ideas, encouragement and resources for fulfilling Christ’s commission to make disciples of all peoples. The team behind GoThereFor.com longs to see the fruit of the Great Commission in our lives and churches; we want to see Christ’s disciples go out with urgent love to the communities and peoples around them, to make new disciples and to teach them to obey all that Christ has commanded. This is our vision because we believe it is God’s great plan and mission as revealed in Scripture, and we hold the Scriptures as our supreme and sufficient authority. That our joy in this work will come in the midst of suffering, conflict and opposition from the world and the devil, as we await the return of Christ at the end of the age. A theologically undiscerning pragmatism that takes core evangelical truths for granted, fails to see the link between theology and practice, and falls captive to the latest trends. To build a fellowship of passionate, sacrificial, gospel-hearted disciple-makers who continue to urge, stimulate and encourage one another in this ministry. Jennie Baddeley, Andrew Barry, Murray Campbell, Ian Carmichael, Gordon Cheng, Chris Drombretta, Sam Freney, Mark Gilbert, Sandy Grant, Tim Grant, Andrew Heard, Greg Lee, Michael Leite, Steve Leston, Stephen Liggins, Colin Marshall, John McClean, David Mears, Annabel Nixey, Tony Payne, Hannah Ploegstra, Adrian Russell, Tara Sing, Paul Sheely, Rory Shiner, Peter Sholl, Dominic Steele, Marty Sweeney, Pete Tong, Craig Tucker, Jean Williams, Lionel Windsor, and Tim Zulker.